Do you need to set up a law firm but you’re not sure where to start? Would you like to take advantage of some of today’s cloud technology, but want to be sure that you are staying within the Rules of Professional Conduct? Cloud-based software has given law firms of all sizes the ability to get up and running quickly without needing to be an IT expert, but as attorneys, you need to take some precautions along the way. Cloud-based law firms are not right for everyone, but for many, cloud technology has leveled the playing field with the larger firms with deeper pockets. Secure your domain name. This step allows you to have a website and use e-mail with your firm’s name. Don’t be surprised if your name is not available since more than 250 million domain names are reserved. Choose vendors like Blue Host or GoDaddy to host your domain name. Use your domain to create an e-mail address. You need to have e-mail, but e-mail offered by your domain hosting company is seldom the best option. Typically, they provide only e-mail but most firms would like to sync their calendar, contacts and tasks everywhere they go. I recommend using Google Apps for Business or Microsoft’s Office 365 for access to your email, calendar and contacts and both sync with most mobile devices, including cell phones and tablets. 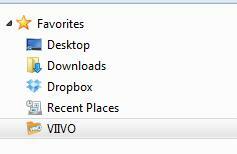 Choose a folder structure for documents. If exporting data from a document management system, be sure to have the original document names included. Reserve office space. Do you need physical office space? If you do, secure it now. If you don’t, consider starting your firm at your house and using a Voice Over IP (VOIP) phone system for just you or for multiple employees in remote locations. Order Internet access. Internet access is the key to being successful in a cloud-based law firm, so order as much bandwidth as you can afford. The upload speed is the most important number to remember. If an internet service provider will provide “10 by 2” pipe, it means that the download will be 10 MB/second and the upload will be 2 MB/second. Choose the highest upload speed you can afford especially for a VOIP phone system. Depending on the type of access that you need, this step may take the longest to install. If new cabling needs to be run, the installation time can be more than six weeks. Talk with an accountant. All firms need to make sure they will get paid and this means planning your financial system. QuickBooks is a good alternative for first time business owners and most accountants like it. It can handle both an operating and a trust account, if you need it. Better yet, consider securing someone else to do your books and figure out how to divide the financial duties from check writing and accounts receivable. Talk to your accountant of their preference for Quickbooks Online or desktop Quickbooks (most will favor this option because it has more features). They will have an opinion on the subject – guaranteed. Order equipment. Buy the best computer you can, either Mac or Windows, and throw in a tablet for mobile use (iPad has the most legal apps). Buy a LaserJet printer (HP preferably, color if you need it) and a ScanSnap scanner. If your firm is big enough to warrant a copier, eliminate both the printer and the scanner and buy a brand name copier that will copy, print and scan. Make sure that your copier includes the ability to scan using OCR (optical character recognition). It may be more expensive, but it will be worth it. You probably don’t need a fax machine, but you can still have electronic faxing through a service like EFax. Buy or subscribe to software. Traditionally, Microsoft Office was only available for purchase. Now, with the advent of Microsoft’s Office 365, you have the choice. You can still buy the software and own the license or subscribe to Office 365 and pay a monthly fee (click for pricing of various options) to access Microsoft Office. Different subscriptions give you different options from local version of software to video conference calling. Don’t forget about practice specific software like SoftPro or Best Case. Secure your phone numbers and equipment. Consider porting an existing number to a Voice Over IP (VOIP) phone system or securing a number through a hosted voice over IP system like Ring Central or Vonage for Business. Hosted phone systems give you the same capabilities as server-based systems like voicemail to email and Find Me, Follow Me. Typically, the service requires you to purchase the physical phone and maintain a monthly subscription for the phone service. Decide on your document storage. Attorneys use lots of documents. They should be stored in a safe and secure place. 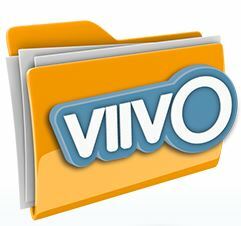 If you decide to use a system like Dropbox, make sure you encrypt your documents with a system like Viivo before they leave your computer. Other storage options include Google Drive (can be included with your Google Apps for Business account), Box.com, or Microsoft’s OneDrive for Business if you use Microsoft’s Office 365. Better yet, if you like a document management system like Worldox, choose a cloud-based option like Netdocuments for document management in the cloud. Back up your documents. Even if your documents are cloud-based, you still need to back them up. Use a system like MozyPro or TimeMachine on a Mac to be sure you have a copy of your documents even if they are in the cloud. Use Practice Management. Unlike server-based systems, cloud-based practice management systems combine practice management along with the ability to key time. Systems like Clio, MyCase, Rocket Matter, Firm Manager allow you to organize your practice with the firm’s clients, contacts and calendar. Many of these systems will integrate with QuickBooks that will keep your accountant happy. Most important of all, READ the Terms of Service for the system to be sure that you understand who owns your data, how to get it back and who has access to your data. Legal Research. If you need it, sign up for Westlaw, Lexis or check out FaseCase. It might even be a benefit through your local bar association. Start a website (and a blog). Don’t be intimidated by website technology. It has come far and is easier than you think. Consider creating a website and a blog using WordPress.com (or .org for more plug-in options) or work with professionals on eLance or 99designs for help. Engage in Social Media. Social media can help grow your online presence. Create firm and professional accounts on Facebook, Google +, LinkedIn and Twitter to help you distinguish yourself from your competitors. Choose a virtual assistant or virtual receptionist. If you are not sure you need someone onsite with you, consider employing a virtual assistant to get you started. If you want to have the big firm experience with a person answering a phone, choose a virtual receptionist like Ruby Receptionist to have a live person answer your phone on your behalf. And there you have it; one new law firm ready for clients. Get ready, get set, Go! Categories: Cloud Technology | Tags: attorney, cloud, desktop scanner, dropbox, iphone, law, lawyers, legal tech, legal technology, Microsoft, Microsoft Office, software, start-up, technology | Permalink.